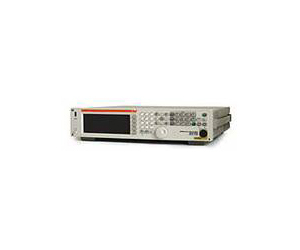 The Model SG6000 is a light weight 2U (3.5”) high signal generator with a frequency bandwidth of 100 kHz to 6 GHz. The signal generator offers a comprehensive modulation capability and offers the convenience of control from the front panel and remote communications using either GPIB or RS-232. The signal generator has rear panel connectors for easy installation into a rack mounted system. The SG6000 provides electronic trip protection which protects the generator output against reverse power up to 50 watts.